Learn more about Ben Wahlund here. Ben Wahlund is a Grammy nominated, award-winning music educator, composer and performer who lives in the Chicago area. Wahlund serves as full-time percussion instructor at Northern Illinois University (DeKalb, IL) and is the Director of Percussion at the College of DuPage (Glen Ellyn, IL). Published by Bachovich Music, HoneyRock Publications and Innovative Percussion, his music compositions have won numerous international awards and are performed by professionals around the world. 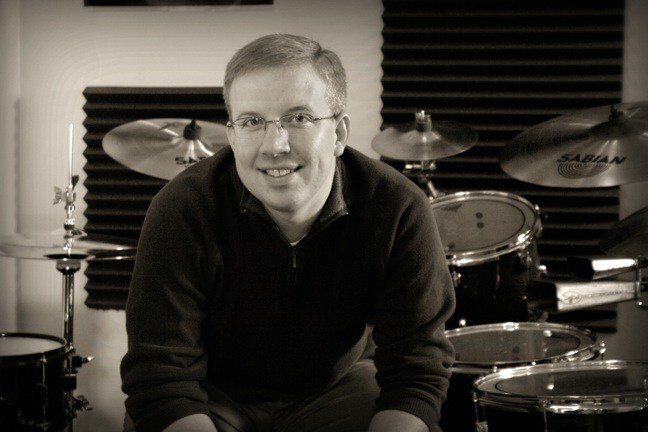 Wahlund’s effective and engaging teaching style has availed him of the opportunity to work for years with the Chicago Youth Symphony Orchestra as percussion ensemble director, director of a number of regional camps and workshops with high school students (including the NIU Percussion Camp) and university residencies across the country. He performs as part of area orchestras, ¡The Screaming Norwegians! Percussion Duo and the Naper Chamber Players, and is also a Yamaha Performing Artist, a member of the Zildjian Artist Program and endorses Innovative Percussion Sticks and Mallets. Wahlund received a Master of Music in Music Theory/Composition with a Performance Certificate in Percussion from Northern Illinois University and bachelor’s degrees in music education and music performance with minors in math and philosophy/theology from the University of Mary in Bismarck, North Dakota.